Directions: Start out by beating the egg yolks until they lighten in color. Next, add in 1/2 of sugar gradually and continue to beat until it completely dissolves. Next, add in your milk, cream, alcohol, vanilla, and nutmeg then stir. Place your egg whites in a separate bowl and beat. With the mixer still running add in the rest of your sugar and beat until it thickens. Now combine the yolks and the whites. Chill in the freezer before serving. So what do you think? Is it the best egg nog ever? 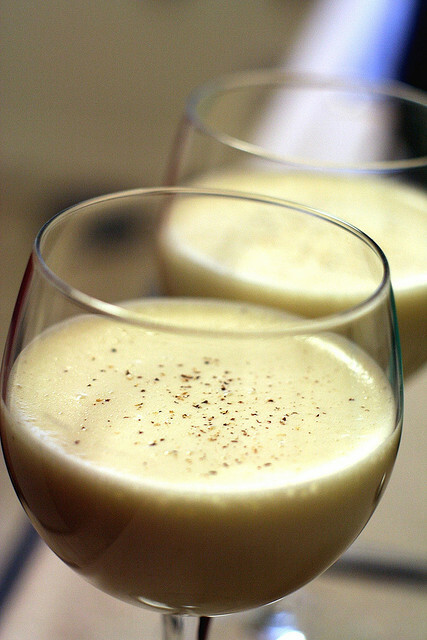 Is it the perfect egg nog recipe you’ve been waiting for? Does it taste like grandma use to make it? If it tastes like crap, come on, you can tell us that too. Shoot us an email, or leave a comment below.